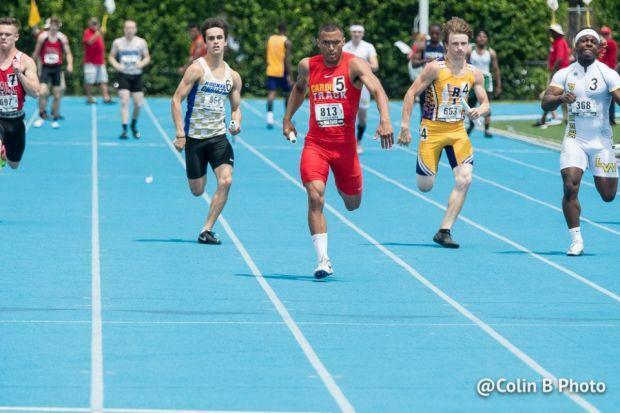 Breakdown: This will be an exciting race to watch this year; Spring Valley Hall and Melrose Park Walther Christian, two all-state teams from last year, return all four of their relay members. Spring Valley Hall was able to surpass Melrose Park Walther Christian on the day in order to take fifth place at the state meet. The two aforementioned teams return incredible 100m runners in both the individual event and the relay. The Red Devils will bring back anchor leg Marshall Walk, but Walther Christian also brings back great talent with Charles Stamps Jr. These two runners are certainly going to make the relay an interesting battle, but of course, the rest of the relay members will have to step up to the challenge as well in order to chase the title of State Champion.